A oversized clutch bag for all those lioness's our there. 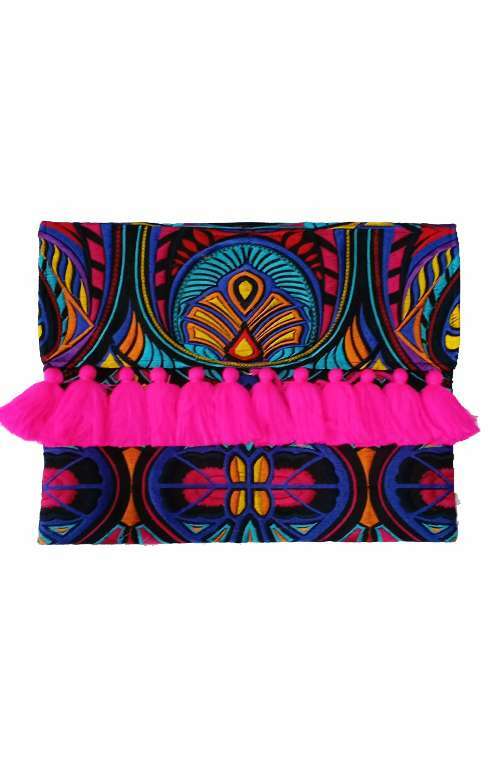 Our handmade purse features beautiful embroidered textile with hot pink tassels. This fringe clutch is the perfect festival clutch. This boho clutch is handmade with love in Northern Thailand. 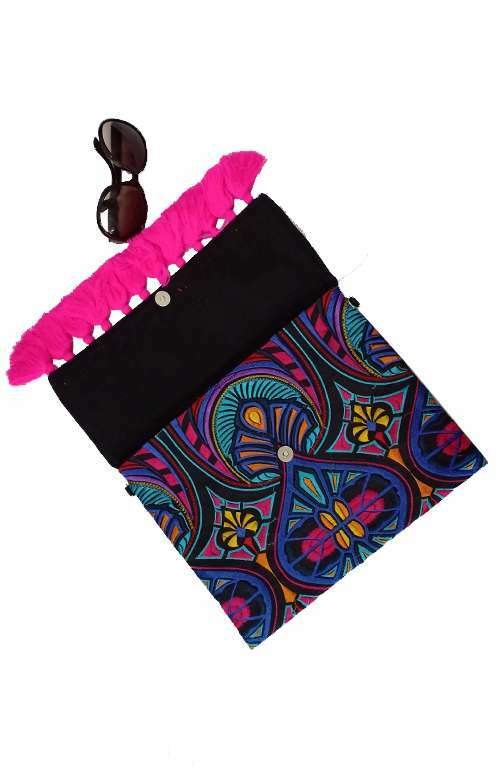 The bohemian purse features beautiful embroidered textile with hot pink tassels. 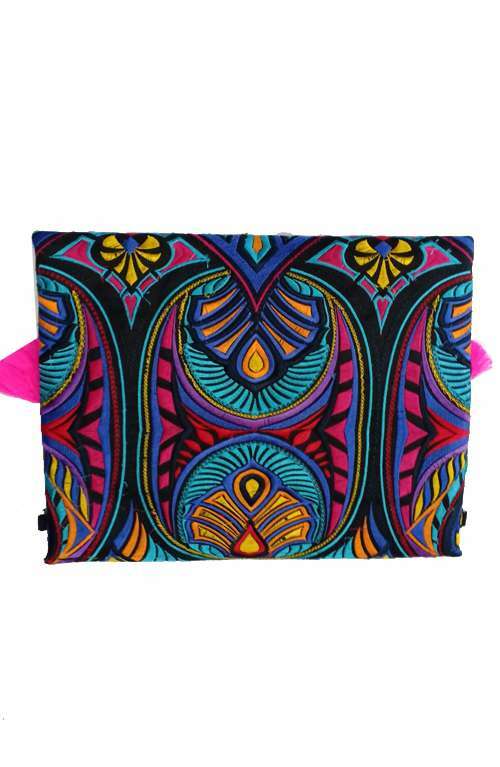 This boho oversized clutch bag has a magnetic closure and a zipper pocket inside. Great boho bag for any occasion, you can also use this festival bag for your daily pop in any outfit. Comes with removable strap to be used as a cross body bag.